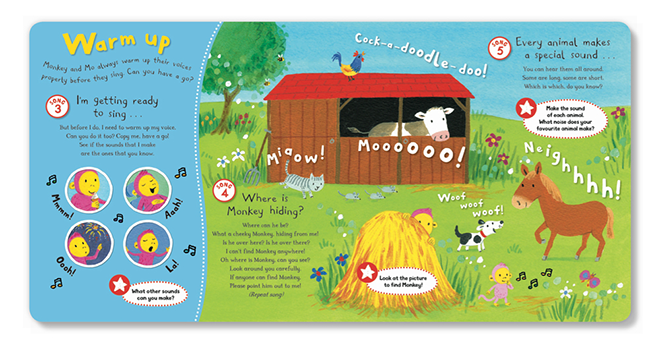 We’re celebrating the newly published debut book from Monkey Music, Let’s Sing and Play! The nationwide popular pre-school music classes were founded by musician and teacher Angie Coates over twenty years ago, so we asked Angie to tell us how she came up with the concept of Monkey Music, which has inspired Let’s Sing and Play. 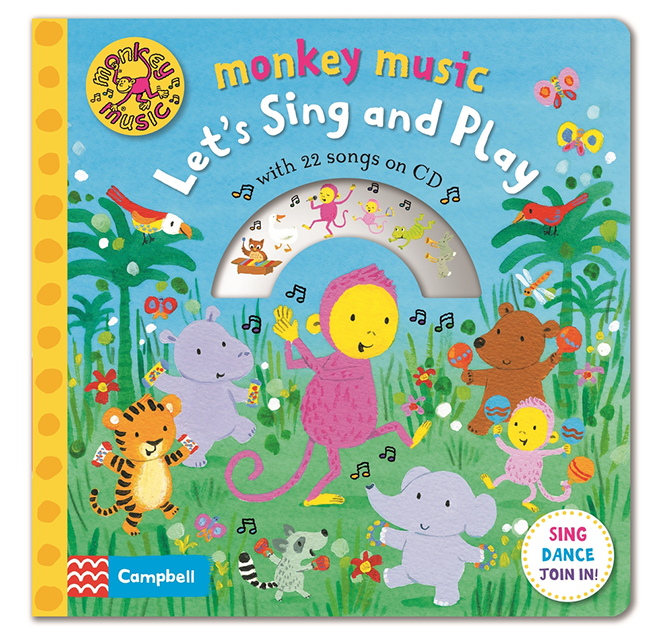 here at campbell books this month we’re celebrating the newly published debut book from monkey music, let’s sing and play! the nationwide popular pre-school music classes were founded by musician and teacher angie coates over twenty years ago, so we asked angie to tell us how she came up with the concept of monkey music which has inspired let’s sing and play. i trained as a classical musician but it wasn't until i began to teach babies and young children that i truly appreciated the reason for my love of music. to supplement my early performing career i taught music in a school crèche. my music session was timetabled for a friday afternoon; not the best time, because as any parent will tell you, making a toddler do anything that you want them to around nap time is a challenge. i decided that the best course of action was to be as loud, noisy and up beat as possible. we banged drums, marched around and made silly animal sounds. this high energy approach worked quite well in keeping the toddlers up on their feet, but it bothered me that there were quite a lot of tired tears. i decided to change tack and although i anticipated that some of the children might fall to sleep on the floor, i decided to try a much calmer and gentler teaching plan. i couldn't believe it! monkey and his magical musical sounds had the children absolutely captivated! they sat still, wide eyed and totally mesmerised by the sparkling sound of my triangle. a few gentle taps of the woodblock made them giggle and the tambourine that made tickle and poke each other. it was a eureka moment and monkey music was born. i began to write songs and games that i knew my toddlers would love. week by week their confidence grew as they joined in with the words and actions to monkey's simple songs and dances. the tailor-made music made them forget how tired they were and we shared precious time together. all this and they were completely unaware how clever they were being in practising new skills for their future learning. language skills were flourishing in songs, physical skills were being tested as they danced and played the instruments and their social skills were on fire as they enjoyed each other's company and showed off to each other! i love music because it is so fundamental to children's development. i didn't know that when i trained as a musician. in let's sing and play, let monkey and mo lead you and your children on a musical adventure, just like i did all those years ago. thanks angie! let’s sing and play is a complete musical experience for pre-schoolers, with the cd including 22 sing-along songs that can be enjoyed on its own or alongside the book. beautifully illustrated by emily bolam, there are tips for getting the most out of each song and encourage movement, dancing, singing and the value of listening carefully, so even if you have never been to a monkey music class before you and your child can experience the enjoyment of these songs.